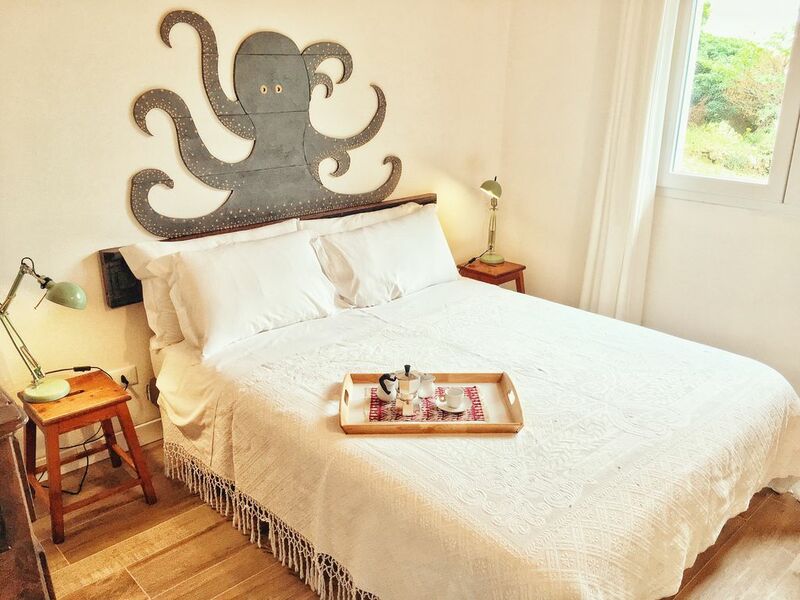 The Octopus Library is a small independent house, placed in a large private park. It consists of a bedroom, a living room with a kitchenette. Ideal for two guests, up to 4 using the sofa bed. Silent, just 5 km from the center of Imperia and 7 km from the beaches of Diano Marina, the use of the car is very recommended. It has a beautiful outdoor area equipped with table and chairs in addition to the umbrella and two sun loungers. Immersed in a centenary park is the ideal home if you want to relax, write, read and listen to music. It has a large library of crime and investigation books and a netflix account. We produce extra virgin olive oil and wine. The house has a discrete view on the olive grove and has a small corner with sea view 100 meters from the house.